The wind was blistering cold, churning the frigid air, molding it into icy torpedoes gusting through the narrow streets of Old Town Alexandria. 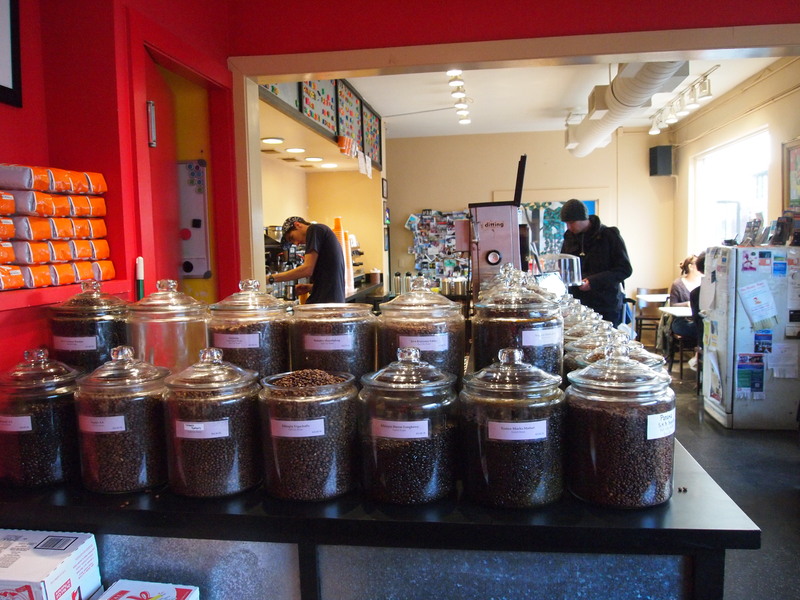 Right in the heart of town lives Misha’s Coffeehouse, a local favorite known for its addictive Route 66 blend (roasted in-house, like all of its blends and single-origin varietals) and cozy atmosphere. 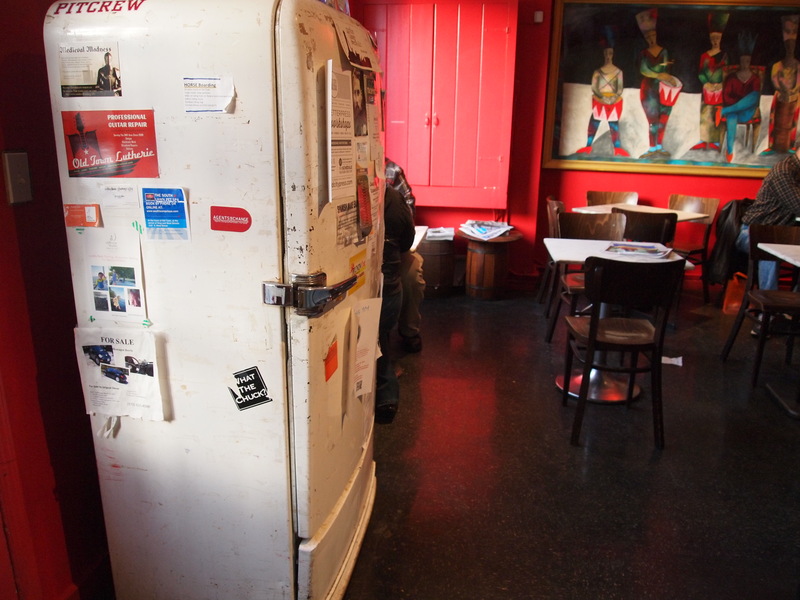 The centerpiece of this coffeehouse is the vintage refrigerator, featured prominently next to the main entrance. 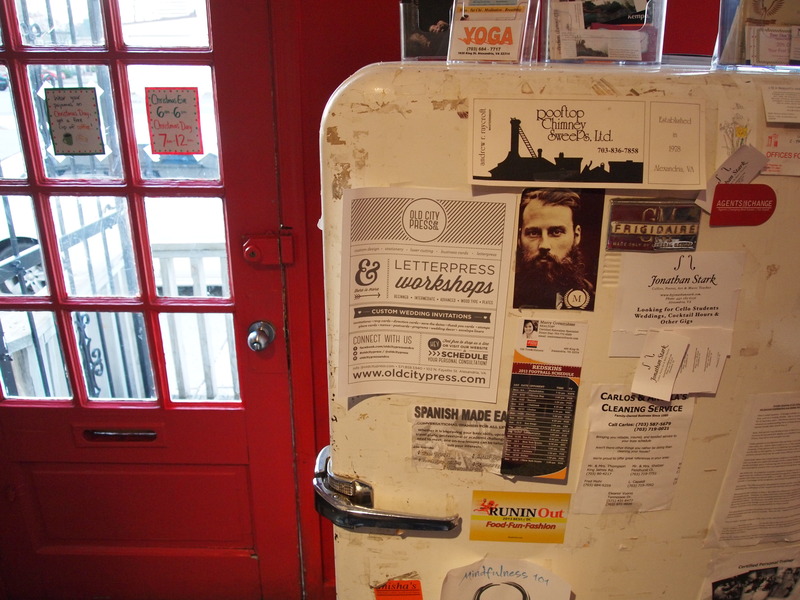 Draped with all sorts of local community news and announcements, the fridge, which is still used regularly, shows how deeply Misha’s is integrated with Old Town. 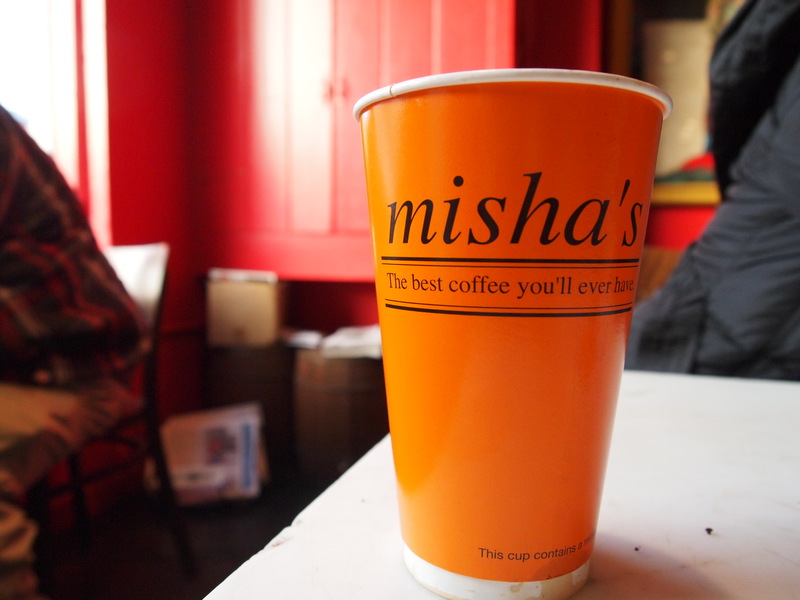 I can sum up Misha’s as “vibrant.” The amount of red used in a cafe, let alone in any interior design layout, could be frightening. But the red used in Misha’s is anything but that. 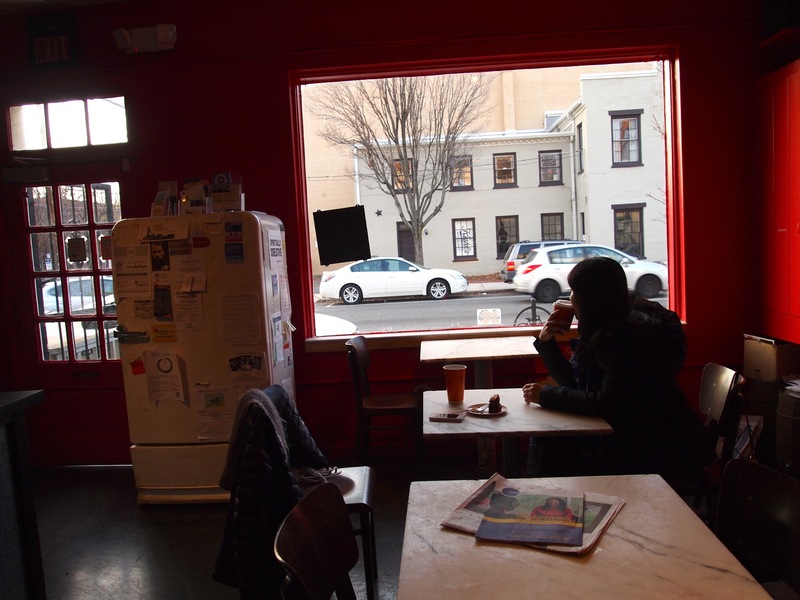 Rather, the red is inviting, complimenting the rows of freshly roasted beans, loud but not boisterous jazz music, and the unassuming black and white exterior. In terms of cafe design, I prefer minimalist approaches, lots of black and white, modern metallic pieces mixed with vintage items, and bold colors used sparingly as highlights. 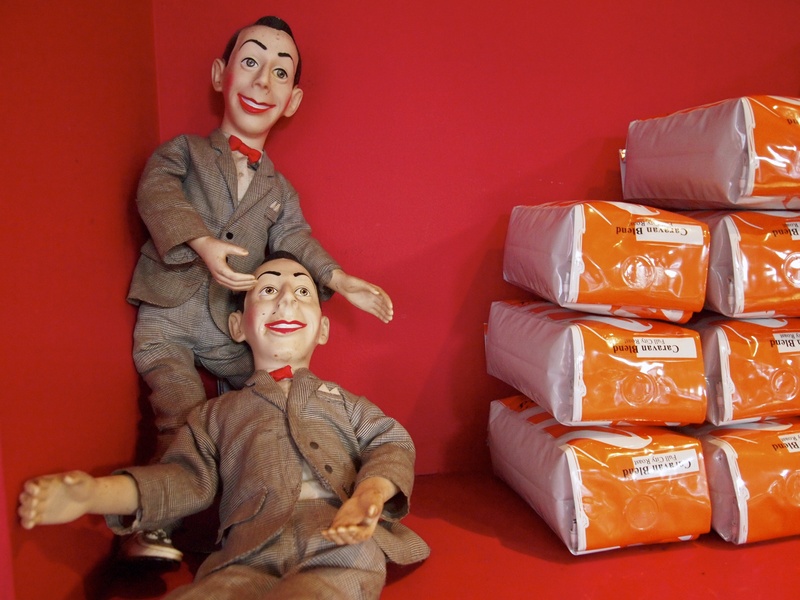 If color is to be used, in any amount, it needs to make a statement without screaming at you. Misha’s interior accomplishes that at some level. 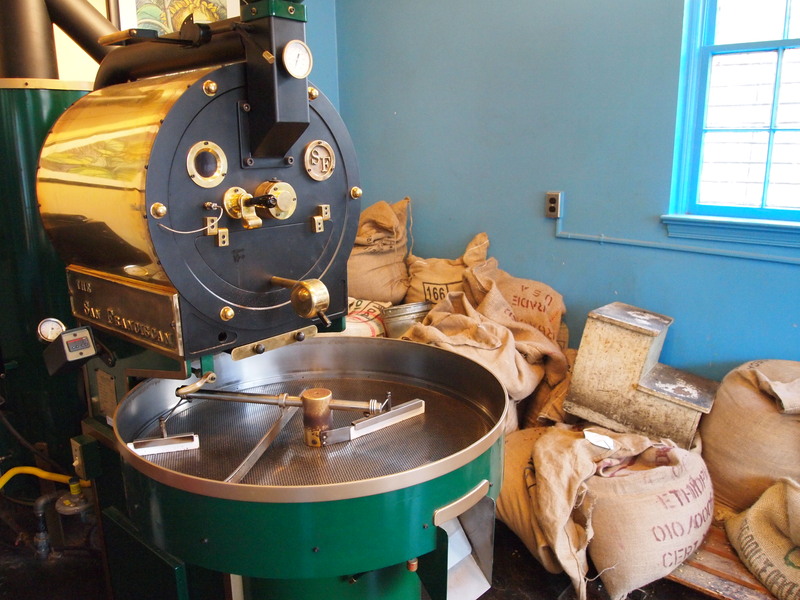 Fresh batches of coffee are roasted several times a week. While its signature Route 66 blend has customers incessantly storming the counter, Misha’s also roasts an impressive lineup of single-origin varietals, from Yemen Mocca Matari to Kenya AA. The barista’s pour over technique was less than impressive (did not pre-soak the paper filter to minimize the paper taste, and I always cringe when there is a row of commercial Bunn coffee makers displayed at a coffee bar), and the “French Roast” for certain beans seemed too dark to bring out any of the unique flavor notes of the coffees. That said, with a little training, this coffeehouse has potential to brew delicious coffee in a delicious, historic neighborhood.